Ok so maybe not everywhere but we've definitely got a major spring feel going on here in Florida. It's been in the low 80's with a slight breeze and as you can see from these pictures, the cherry blossoms have blossomed! I'm definitely going to miss my boot weather but I'm excited for beach and boat days not to mention the sun not setting at 5:30 pm. I'm definitely hoping to start spending more time outside, this girl is ready to get her tan back. Being completely honest here, if you're into the destroyed denim look and you don't have these jeans, you are missing out. I now own these jeans in three colors and I cannot stop wearing them. They are by far the most comfy jeans I own and I love that they don't lose their shape throughout the day. I tried them on in white but for some reason I just couldn't get on board with the destroyed denim in white but you can be sure I'll be picking these up in black next. I know a few of you have noticed my necklace and commented on it and yes, it is a tiny dog bone. After I lost Novie, I really wanted something to keep with me at all times that reminded me of him so I had this necklace made. If I'm being completely honest, I thought it would be easier by now but I still find myself struggling from day to day. I feel like I do a really good job of putting on a happy face and acting like all is well but it's still so tough and I struggle to get through a day without crying. This necklace helps me get through the day and feel like I have a little piece of him with me. Happy Wednesday babes! Each week is getting warmer and warmer here so I'm running out of time to wear these boots so I'm rocking them every chance I get before I have to put them away for the next 8 months of summer. I know most of you are thinking "She's crazy, there's still plenty of cool weather left" but last weekend and the weekend before it was in the 80's here so I think winter might be over for us Floridians. I actually wore this outfit a few weeks ago on my last trip to Charleston before starting my new job. Despite the fact it's bright and sunny without a cloud in the sky, it was actually pretty chilly so it ended up being a perfect time to break out the over the knee boots. This top has quickly become one of my favs too. Lately I've been loving gingham print, it's so fun and perfect for any season. I can see myself wearing this top with a skirt in the warmer months and jeans in the cooler. 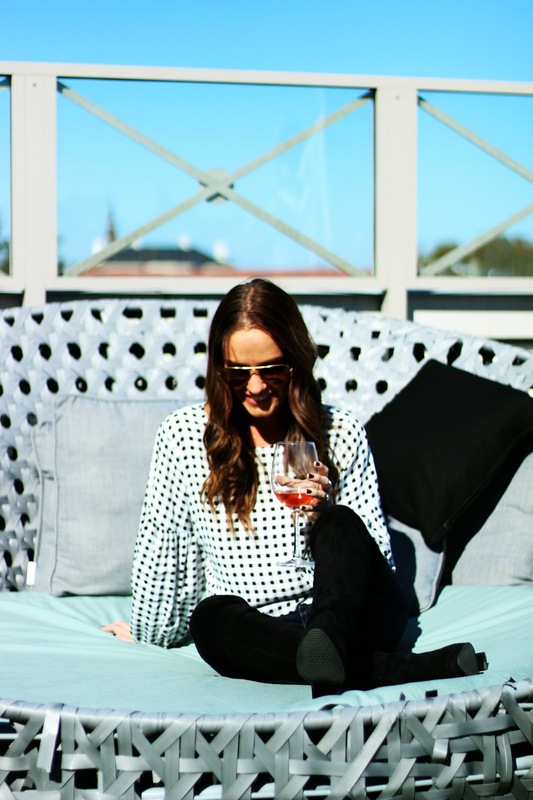 I'm all about tops that are versatile and this one definitely checks every box! Plus you can't beat the price! Happy Monday friends! Thanks to everyone for understanding my absence from the blog lately and for being patient with me while I figure out my new schedule and how to fit everything in. I knew I wasn't ready to give up this little space of mine but it's definitely hard navigating a new job and trying to find time to post, reply and reciprocate. I usually leave around 6:50 in the morning and don't get home until after 6 pm at night so by the time I get home and eat dinner, I'm exhausted. I haven't even been to the gym in weeks but I know I'll balance everything soon! 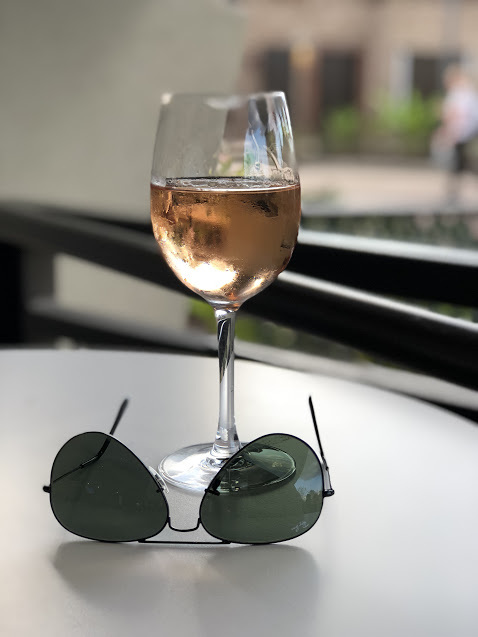 My weekends haven't been anything overly exciting but today I figured I'd do a good ol' fashioned weekending post so let's jump right in, shall we? Saturday I headed out for some pedicures, drinks and shopping with my girl, Kerri. We both went with summer colors and it definitely has me wishing for beach and boat days. 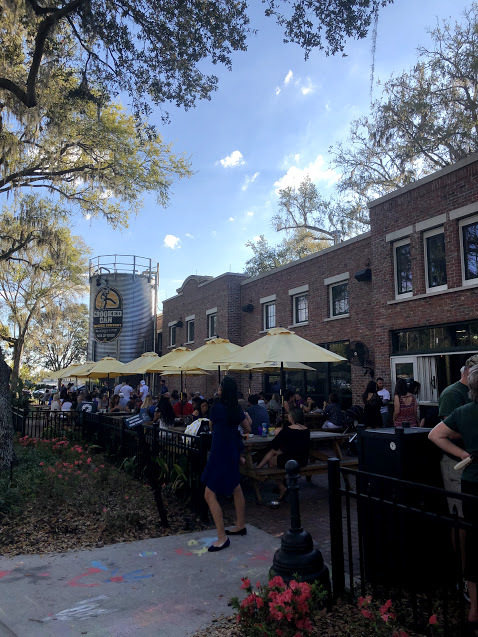 We got to check out a new place in Winter Park and with its super Instagrammable decor and yummy menu, I already can't wait to go back. Sunday was for errands and relaxing outside. It was another gorgeous day so after grocery shopping and prepping for the week we headed out to enjoy the sunshine and warm weather before it gets to be too hot and humid. And then before I knew it, it was time to go to sleep and here we are! Happy Valentine's Day loves! I am SO sorry for my lack of replies to my post on Monday. I promise I read every single one and I actually read a bunch of your blog posts on my break but it's really hard to comment from my phone and considering my commute is an hour 1/2 to 2 hours some days, by the time I get home the last thing I want to do is jump on the computer. I promise I WILL get used to everything and get back into a schedule and start reciprocating soon so please just bare with me for another week or so. Speaking of my new job...so far everything is going great and with the exception of the crazy commute in, I couldn't be happier on the job front. I'm still getting adjusted to not having Novie around but every day it gets a little easier and having a new job to focus on definitely helps. All of your kind words have definitely helped too, I can't even tell you how much you guys have put a smile on my face when I really needed it. Ok, enough with life...let's chat about this outfit. 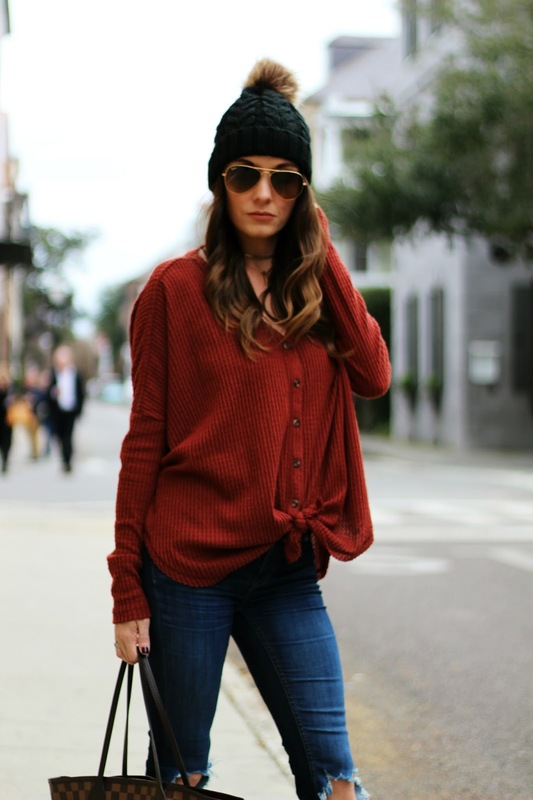 Excuse me for a minute while I shout from the mountain top how much I love this thermal top. Seriously though, if I could buy this top in every color (which happens to be 10 colors if you were wondering) I would wear it every single day and not feel the slightest bit bad about it. It's incredibly soft and flattering and the tie front detail is so adorable and it's incredibly versatile. 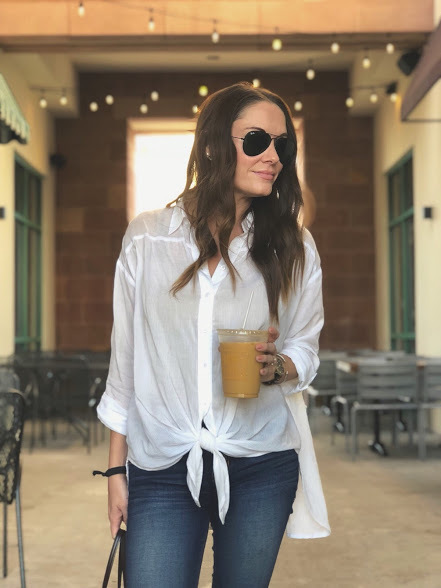 I wore it here pretty much exactly how it's supposed to be worn but I've also worn it untied and tucked in with a few of the top buttons undone for an off the shoulder look, as well as completely unbuttoned and tied in the front with a lace cami peeking through. 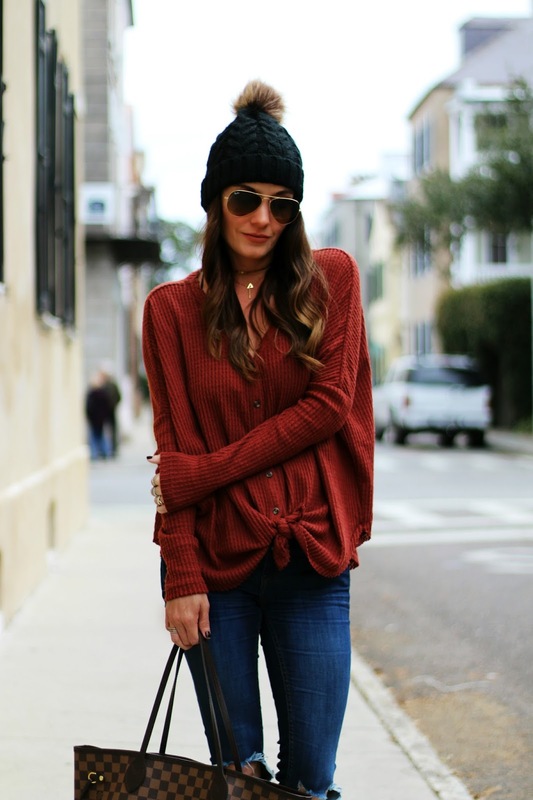 It's absolutely perfect for a chilly day and such a staple for any closet! If you don't have this thermal, I highly recommend you scoop it up before it's gone. I already have the beige and the berry sitting in my cart just ready to hit "buy" after I get my first full paycheck! Hi friends. First I want to say thank you a million times over for all of your kind words, thoughts, prayers and love on my Instagram post yesterday. I'm not going to address it any further on my blog, it's definitely not something I want to continue to talk about right now but I truly appreciate how amazing you all are. I actually wrote this post a few weeks ago and just never hit publish which is probably the only reason I have anything to post today given everything but I knew I couldn't continue to stay away from this little space of mine any longer. Please forgive me for not being as quick to reply to comments or comment back, given everything that's been going on and me starting my new job, I'm still trying to get back into the swing of things, I hope you all understand. I promise when I get home tonight I'll read every comment and catch up but let's go ahead and jump into today's post, shall we? It's definitely no secret I'm a huge fan of brunch. Bubbles, bacon, all you can eat food... I mean, what's not to like, right? Every time I go out of town I make it a point to try to find an amazing brunch spot to stop at so of course Savannah was no exception. 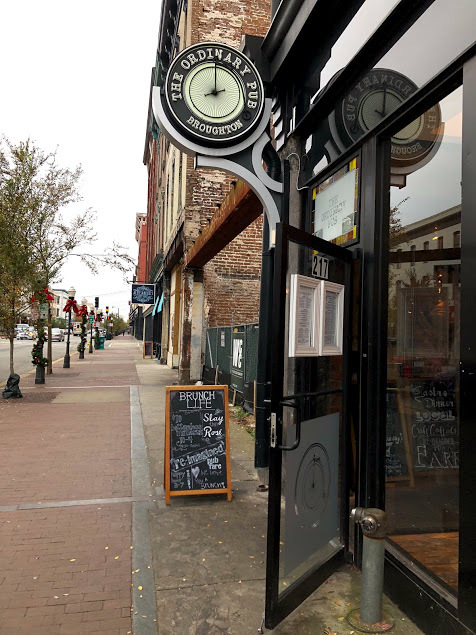 Lucky for me I have the inside scoop to places in Savannah thanks to a friend who happens to be from there so when she suggested The Ordinary Pub for brunch I knew it was a must visit. 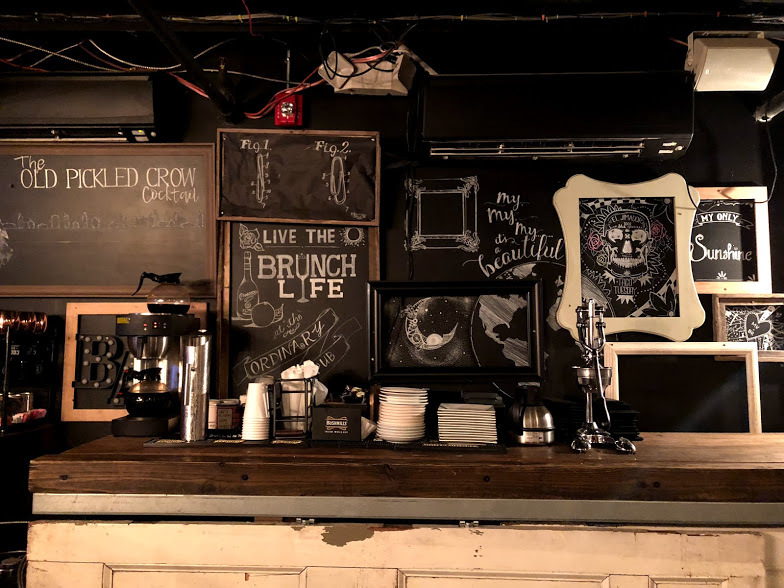 One of the best parts about The Ordinary Pub is they offer brunch 7 days a week. I mean, how can you not respect a place that honors the best meal of the day every day of the week? 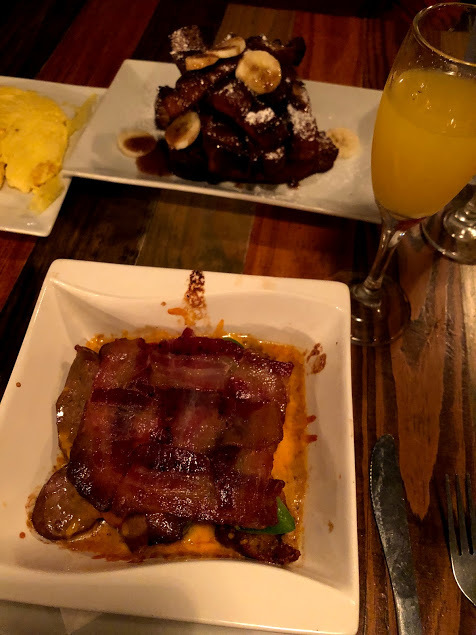 From amazing things like Bananas Foster French Toast to Steak, Eggs and Grits; they have a little something for everyone. I opted for the Bacon Brunch Bowl and it was amazing. Seriously, just look at that bacon weave on the top... I'm drooling just thinking about it. 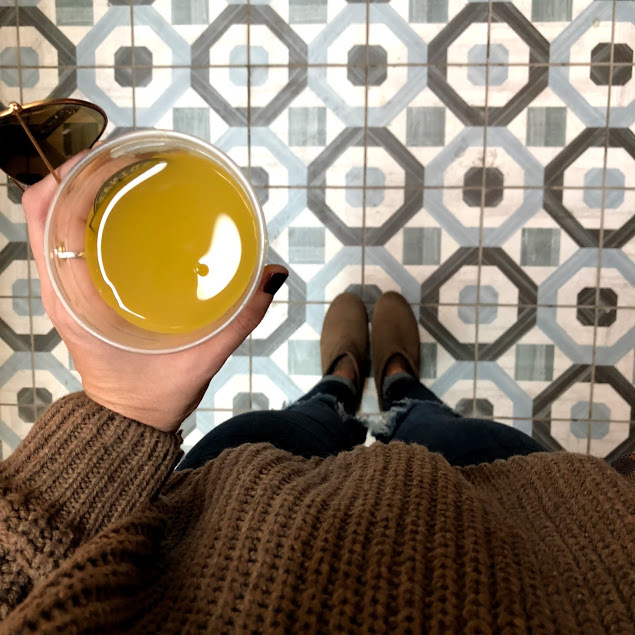 The Ordinary Pub offers bottomless mimosas 7 days a week from 10 am to 4 pm (pro tip: Sunday you can start brunching at 10 am but you can't start drinking until 12:30 so plan accordingly) and you can even get a mimosa to go! 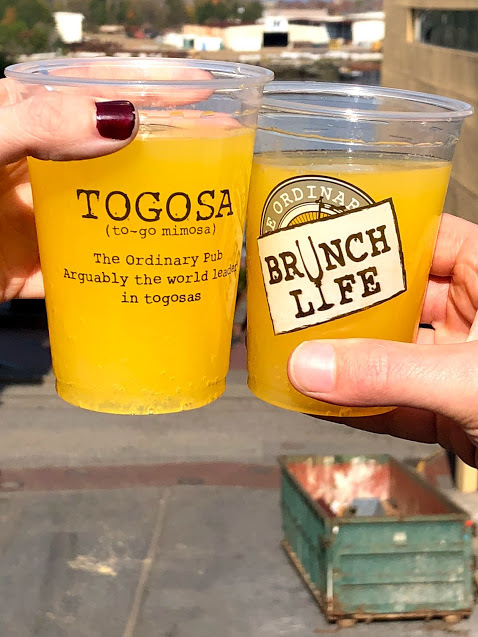 Yup, you read that right, The Ordinary Pub is home of the Togosa which is perfect if you want to grab a mimosa and walk around town for a bit. I highly recommend making reservations because this place is extremely popular and not very large so it fills up quickly. 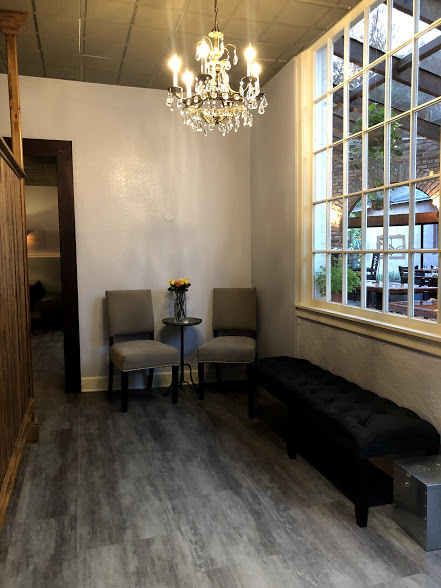 And despite the fact they offer unlimited mimosas, try to be mindful of the time you spend there because there is probably someone waiting for your table so when you're done eating I suggest either moving to the bar or grabbing a drink to go to get your fill of mimosas! Again, thank you all for your love and support. I honestly don't know what I would do without your encouragement and support. Sharing that post yesterday was by far the most difficult post I've shared with you all to date but I was overwhelmed by all of your love. You guys are truly the best.